(NEI) A measure of the momentum that is building in new and innovative nuclear energy technologies is the fact that panelists from the world of advanced reactor designs were seen this year at both NEI’s Nuclear Energy Assembly (NEA) and at the preceding day’s conference of the North American Young Generation in Nuclear (NAYGN). The panel observed that young people will continue to bring fresh perspectives to help lead that future. The NAYGN panel pointed to how a new generation of engineers, entrepreneurs and practitioners is defining the future of the nuclear industry. “It is up to us young people to make sure that nuclear energy makes up as big a piece of a non-fossil energy future as possible,” said Jacob DeWitte, founder and chief executive officer of small reactor design company Oklo Inc.
“As you prepare yourselves for the future, get involved politically too. That’s where a lot of decisions are made about incentives and policies that affect our industry,” said Jeff Harper, X-energy LLC’s vice president of strategy and business development. The movie will premiere in September, with wider distribution to follow shortly after. Bookending the NAYGN panel, NEA’s last day featured another group of speakers who spoke about the global demand for nuclear innovation. The youthfulness of the audience at NEA impressed Kris Singh, founder, president and chief executive officer of Holtec International. “It’s wonderful that young people are coming to this conference—that means there is a future for nuclear energy,” he said. Singh mentioned the SMR-160 small modular reactor his company is developing, for which it will be submitting a license application at the end of next year. “We hope to sell a bunch of them to countries that need them,” including Saudi Arabia, he said, which is looking for electricity generation sources to replace the oil it is now burning at a rate of 30 percent of its annual production. “At the rate their electricity demand is increasing, Saudi Arabia will be a net importer of oil by 2035,” he noted. “China and Russia are not standing still in bringing innovative reactor technologies into operation. And neither should we,” TerraPower LLC Chief Executive Officer Lee McIntire noted. 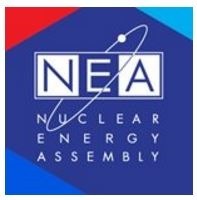 (News Courier) The Nuclear Regulatory Commission’s technical review of the Tennessee Valley Authority’s small modular reactor (SMR) early site permit (ESP) application is underway. Several steps remain before TVA would commit to constructing SMRs and placing them at the Clinch River site. SMRs, which are between 50-300 MW, are a next-generation nuclear technology. SMRs are being developed using conventional light water reactor technologies (LWR) and some entrepreneurs are working on fast reactors. TVA has not committed to a specific design as part of its ESP application, but if it does move forward to apply for a COL to build one, the odds favor an LWR option. The technology could offer TVA more flexibility while offering low-cost clean energy to residents, said Dan Stout, TVA senior manager for small modular reactors. Development of the ESP application was made possible through the continuing support of the Department of Energy’s SMR Licensing Technical Support program, which has provided cost-shared financial assistance through an interagency agreement. According to TVA, there are several evaluations and business decisions that remain before the utility would commit to building SMRs at the Clinch River Site; a decision that is still years away. Previously, TVA partnered with BWXT to design and license that firm’s 180 MW mPower SMR. The effort ended in 2014. BWXT tried to revive the effort in a partnership with Bechtel, but it also ended due to the lack of a customer. TVA has not been bullish on new nuclear reactors and its Integrated Resource Management Plan does not contain any plans for new reactors for the next 20 years. At best it appears TVA is seeking an ESP to keep its options open without having to commit to any specific design or timetable. (WNN) Canadian Nuclear Laboratories (CNL) launched a request for expressions of interest in small modular reactors (SMRs). The nuclear science and technology organization aims to demonstrate the commercial viability of SMR technology by 2026. CNL has now launched a request for expressions of interest in SMRs. It is seeking input from SMR technology developers, potential end-users, and any other interested parties and stakeholders, including potential host communities, unions, the nuclear supply chain, and research and academic institutions. The request is open until July 31st. CNL said it aims to demonstrate the commercial viability of SMR technology by 2026 “with a view to positioning Canada to take a leadership role in this emerging nuclear technology [and] with CNL recognized globally as a leader in SMR prototype testing and science and technology support”. According to its strategy document, CNL’s long-term vision is to be a recognized hub for SMRs, where multiple vendor-supported prototypes are built and tested.